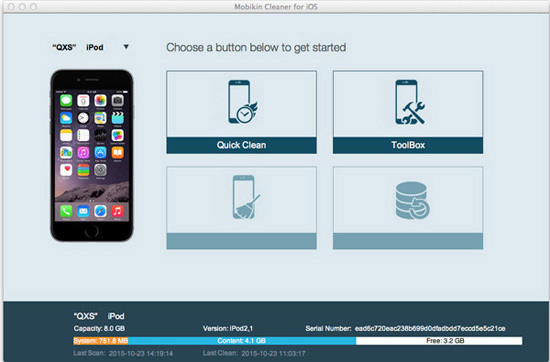 Home> Resource> Phone/Data Clean> How to Clean iTunes Radio Caches on iPad? How to Clean iTunes Radio Caches on iPad? iTunes Radio is a free service for all iOS users, that allows users to listen to automatically generated playlist as well as collected data on music preference. With it, you can skip tracks, customize stations, or purchase the station's songs from the iTunes store without any restrictions. It is no doubt that iTunes Radio have taken unlimited convenient for every iOS users, but your iTunes radio caches also have occupied a large amount of valuable space on your iPad, iPhone or iPod touch, which may made your iPad runs slower and slower. Thus, in order to ensure your iPad runs like a new device, cleaning these iTunes Radio caches on iPad regularly seems to be important, right? However, the problem here is how to delete iPad iTunes radio caches in the simplest way? Believe us, you can find an ideal solution in this page. It is known to all that the caches are always generated automatically, and these kinds of files are hidden data that can't be found and viewed on your iPad, iPhone or iPod devices directly. Thus, if you wish to find and delete these iTunes radio caches on iPad completely, you need to find a reliable yet professional data cleaner for iPad as your daily assistant. Only with these kinds of program, you can easily find and remove all iTunes radio caches on iPad completely and never harm other data on the iPad. 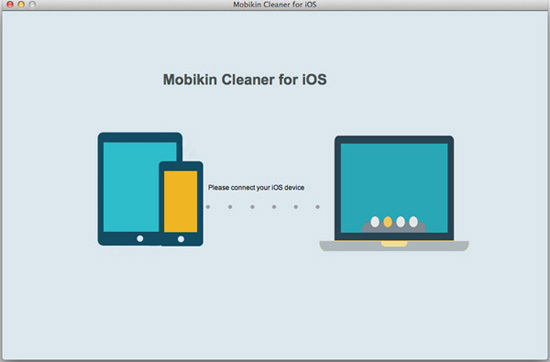 Under this situation, iPad Data Cleaner (Windows/Mac) is strongly recommended here as your personal assistant. You can use it detect your iPad, scan for caches on iPad and delete them on iPad with few simple clicks. Now, just click the below icon to get this powerful tool on your computer, then follow the instructions to learn how to perform it step by step. How to Delete or Clear iTunes Radio Caches on iPad? Step 1. 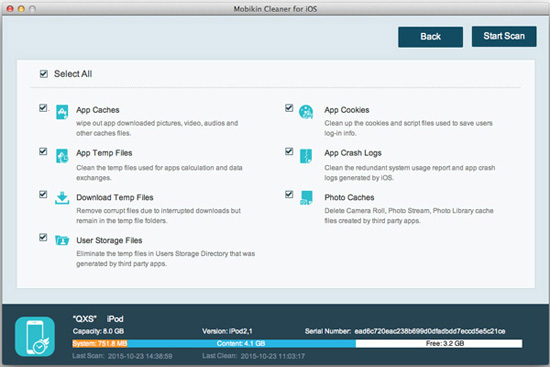 Connect your iPad to computer with USB cable, then launch the iPad Data Cleaner software. Then you'll see the primary window of the program on your personal PC. Step 2. Choose "Quick Clean" mode. Step 4. Preview and select these scanning iTunes radio caches, and hit "Clean" button to remove them from your iPad immediately.